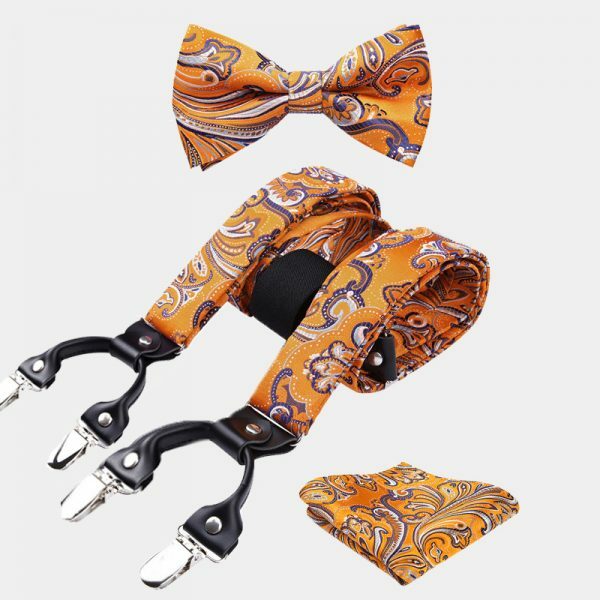 Are you looking for unique and stylish ways to change up your wardrobe without going over your budget? This lovely gentleman’s white floral bow tie and suspenders set is a perfect choice. 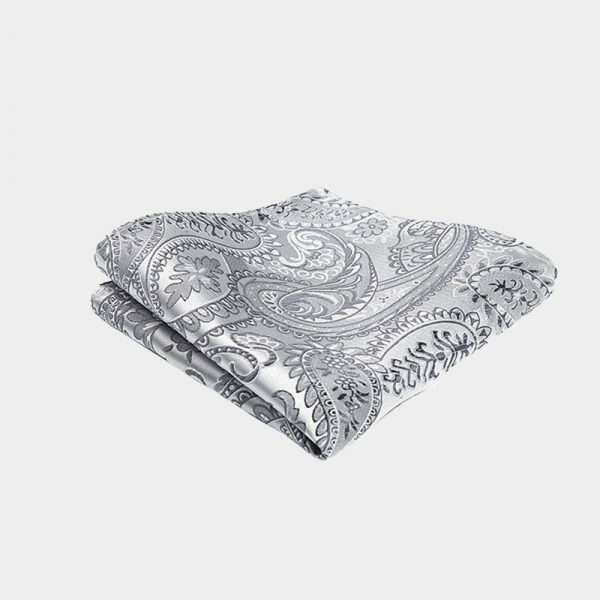 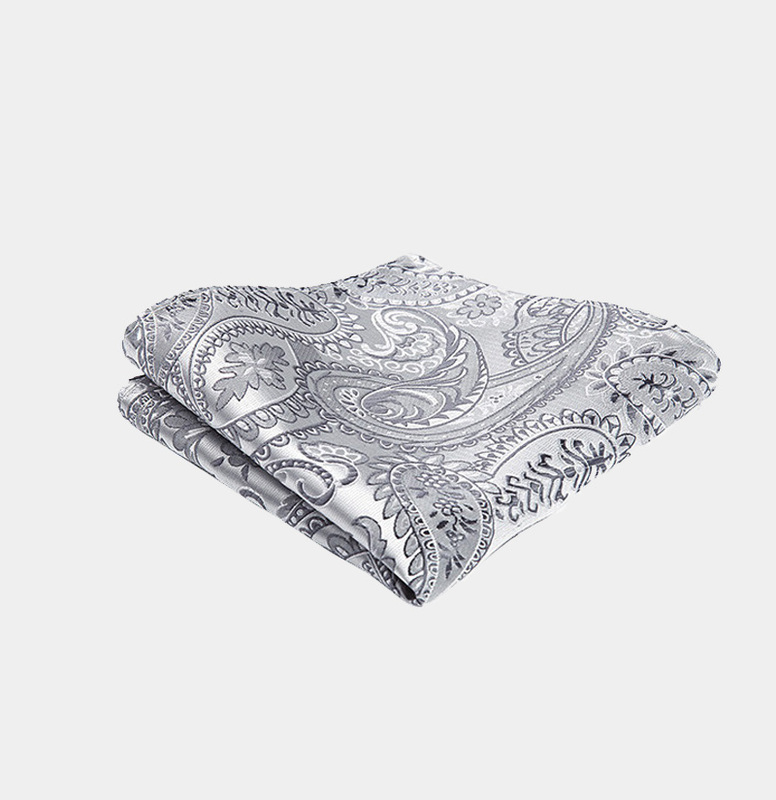 The neutral white and gray colors, as well as the intricate floral pattern, create a sharp combination that gets you noticed. These chic accessories are a smart addition to casual looks as well as to your business attire. 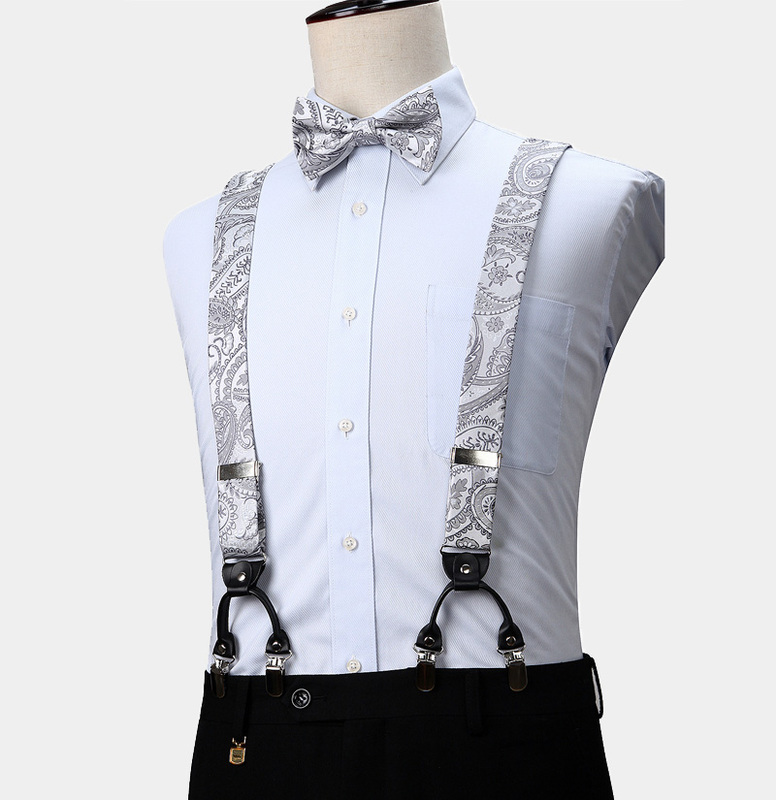 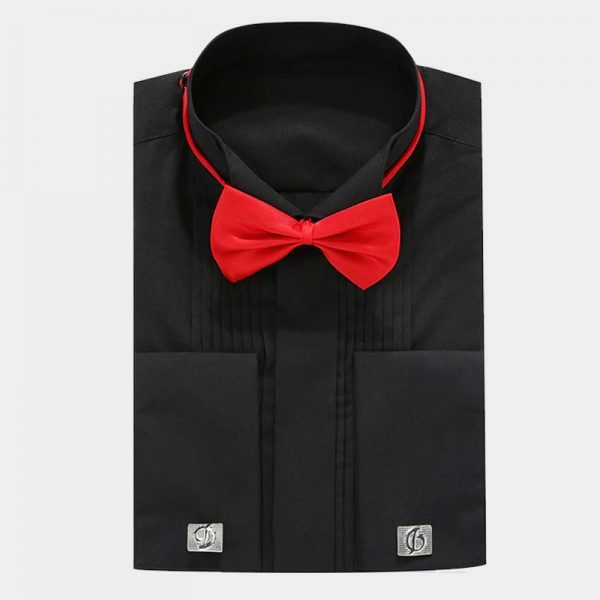 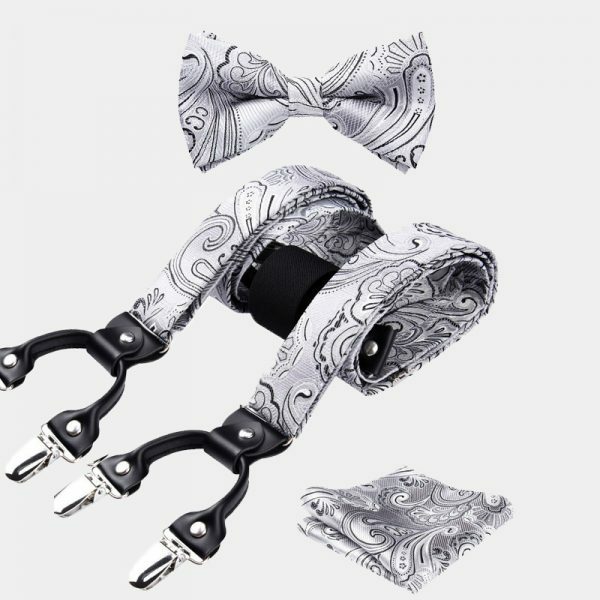 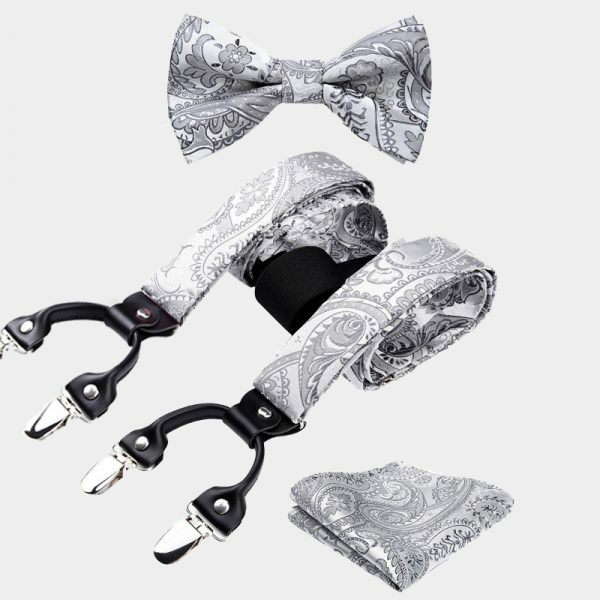 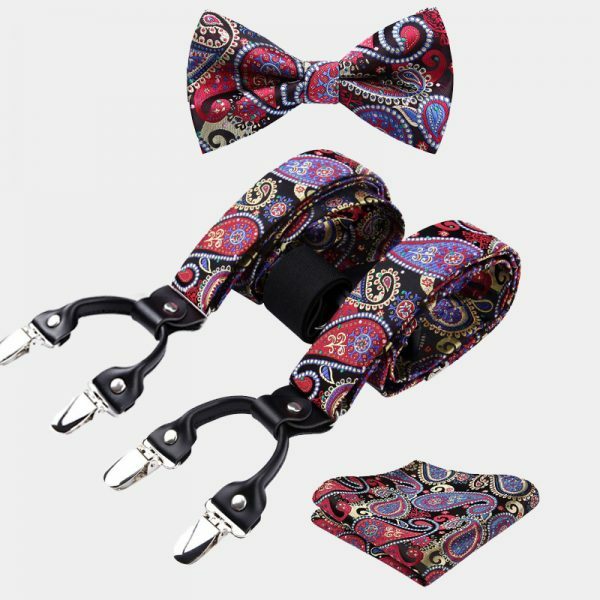 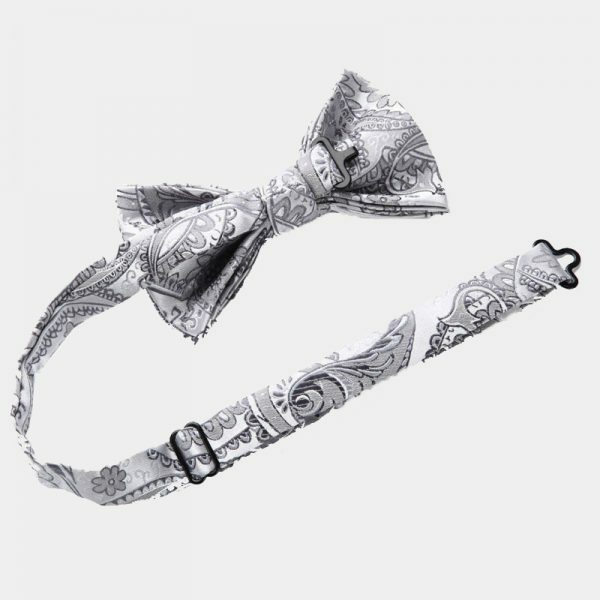 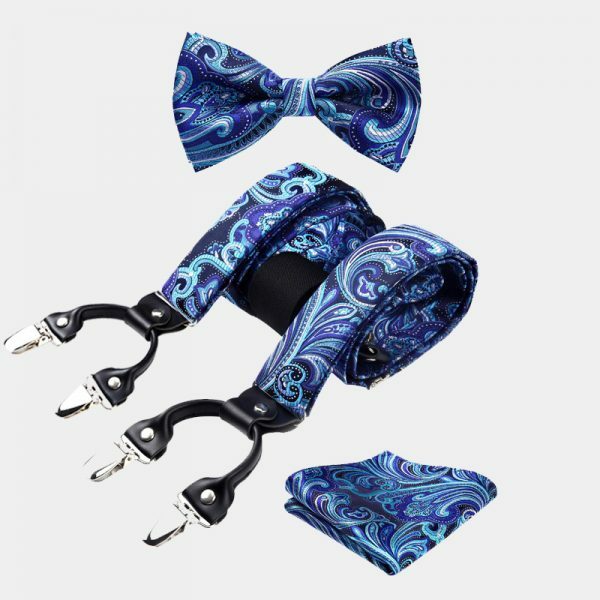 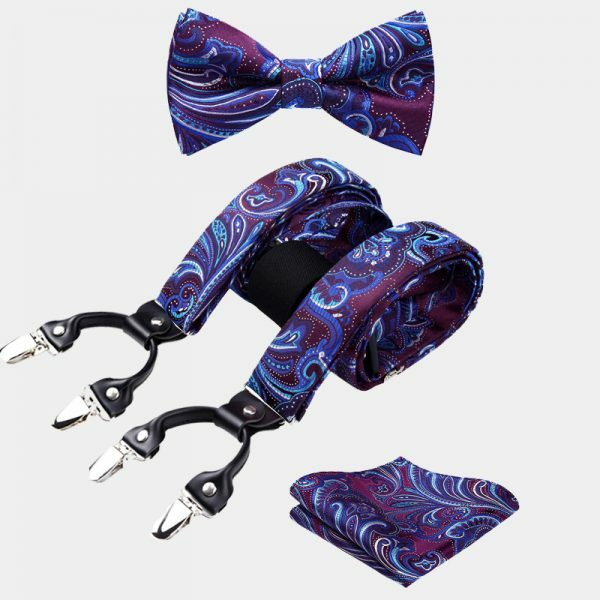 In addition, you can incorporate this gentleman’s white floral bow tie and suspenders set with your formal wear. 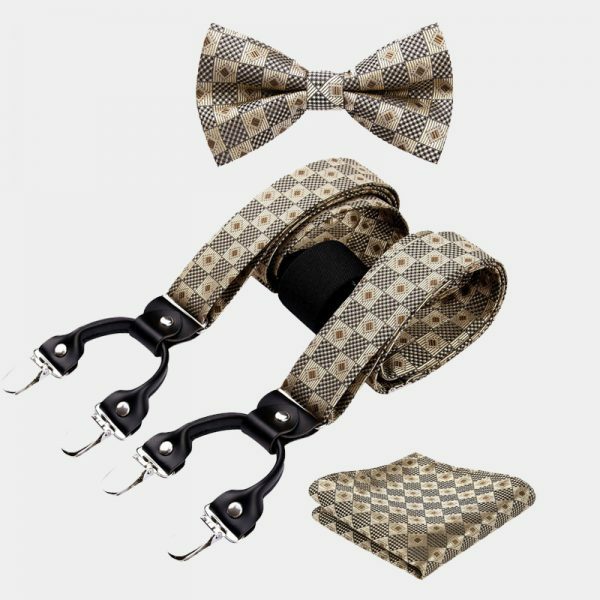 It makes a sophisticated alternative to more traditional accessories. 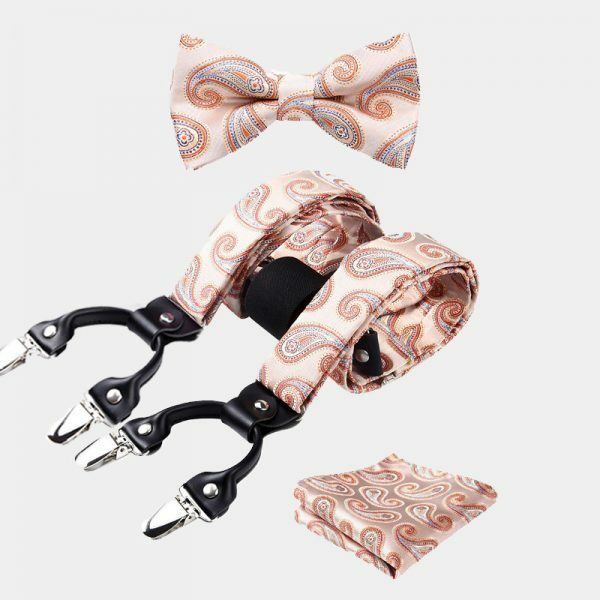 Each of these exceptional items is expertly made to create this high-quality set. 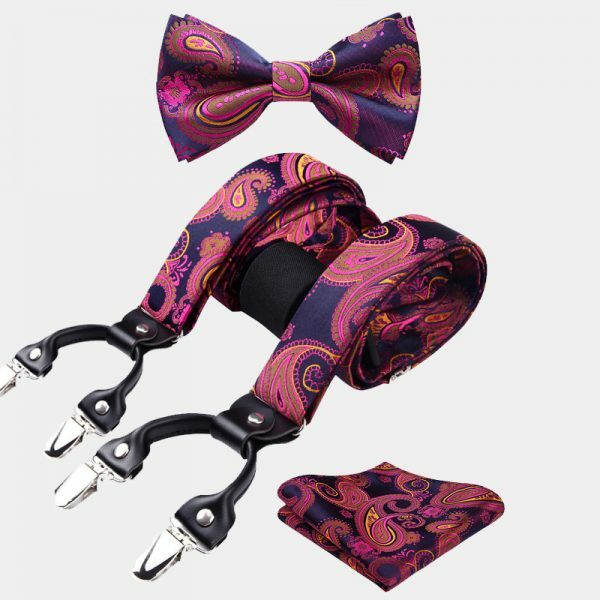 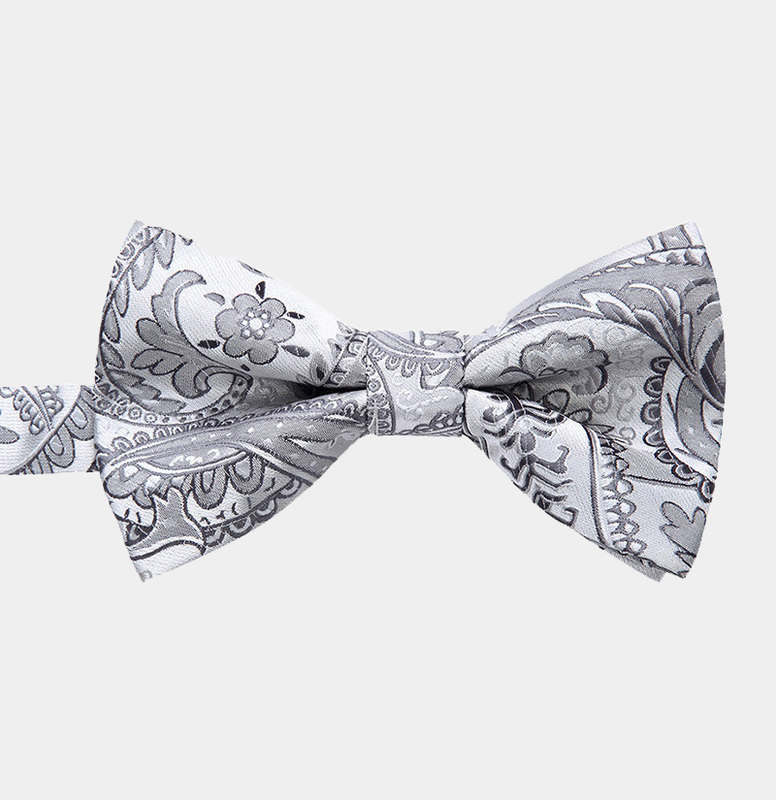 The fully adjustable pre-tied floral bow tie is a simple no-fuss accessory that is easy to use. This top-notch set also comes with fashionable suspenders that adjust to give you the perfect fit every time you wear them. 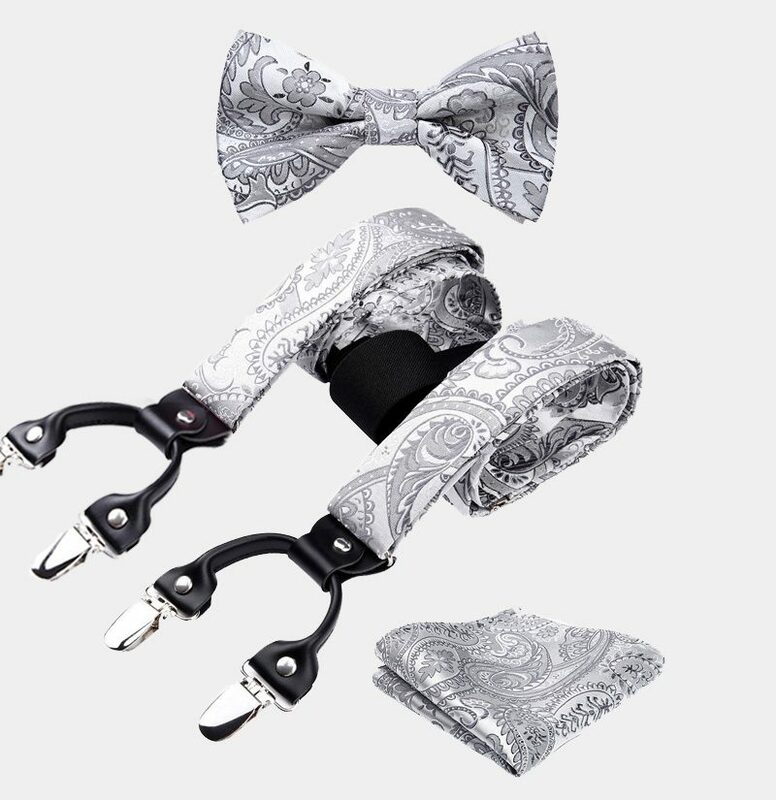 They also easily attach to your pants with six strong non-slip grip clips. 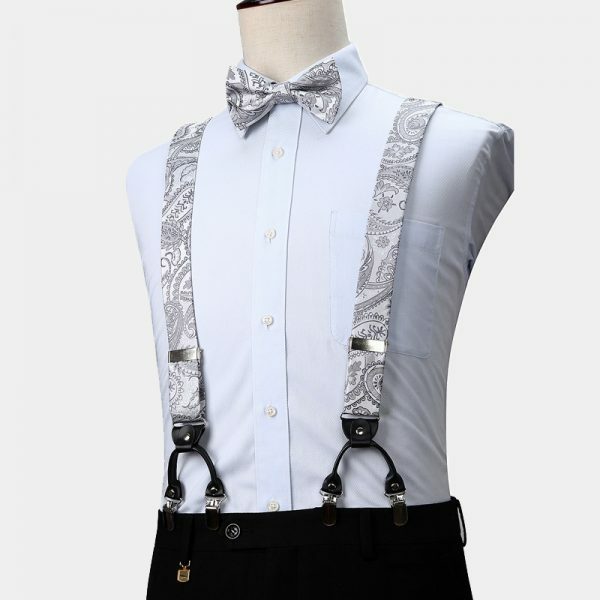 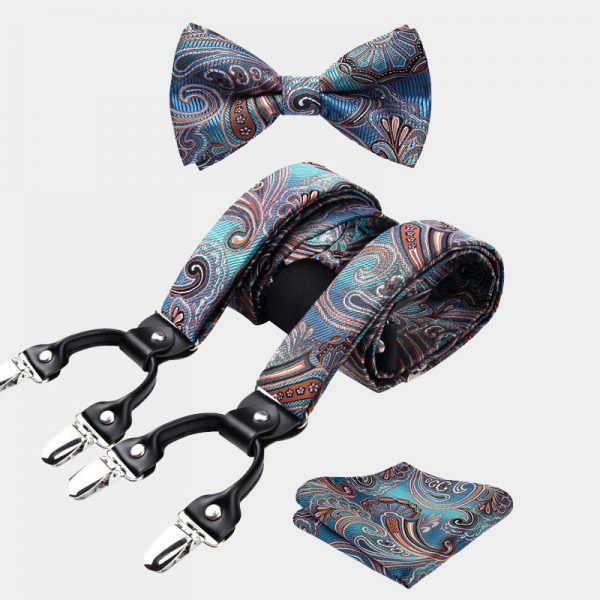 In addition, this gentleman’s white floral bow tie and suspenders set has a dapper matching pocket square that finishes your look.